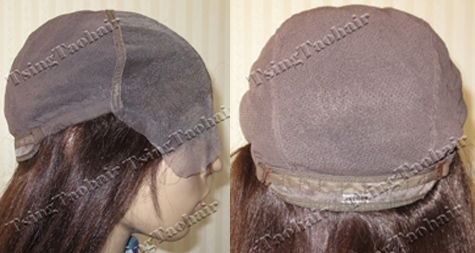 Cap#1F - Full lace with stretch ear to ear, can wear high ponytail. Cap#2F - Full lace with a little stretch lace at crown, can wear high ponytail. 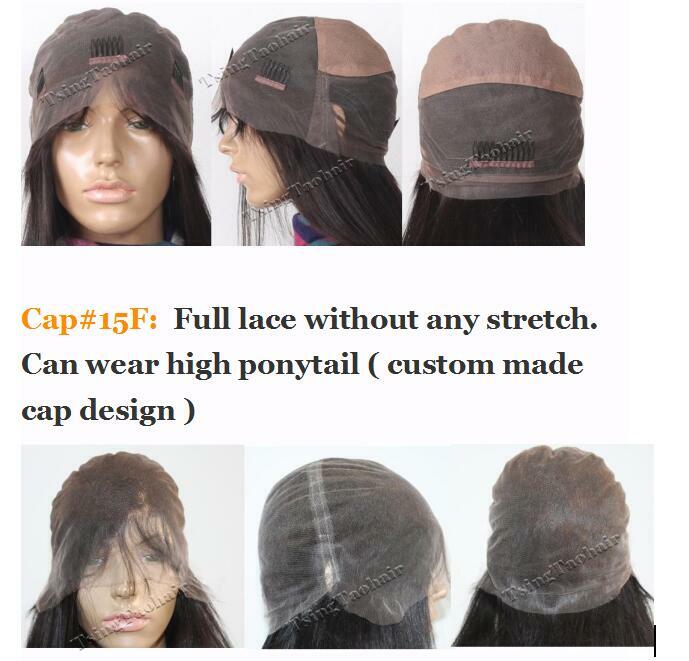 *cap design for most in stock full lace wigs. 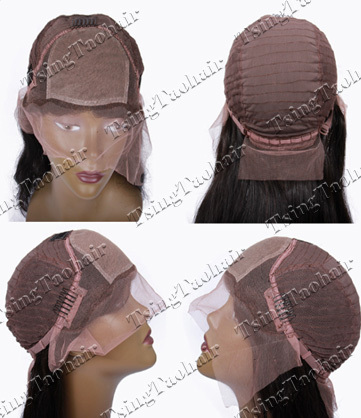 Stock glueless full lace cap design with adding combs at temples and adjustable straps at back. No need of glue or tapes, can be worn high ponytail! 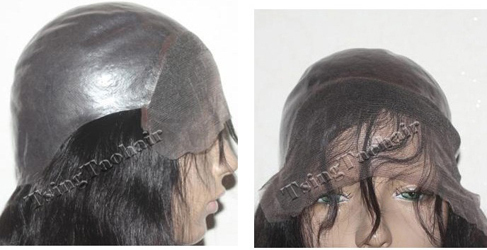 *This cap design for most in stock glueless full lace wigs. 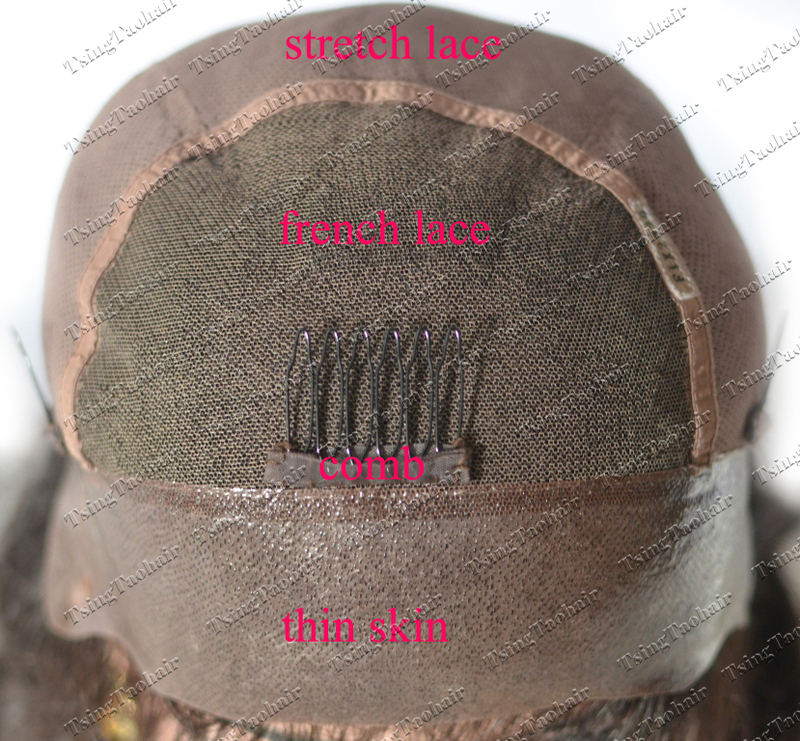 Stock glueless full lace cap design with adding combs at temples and draw strings at back. No need of glue or tapes, can be worn high ponytail! 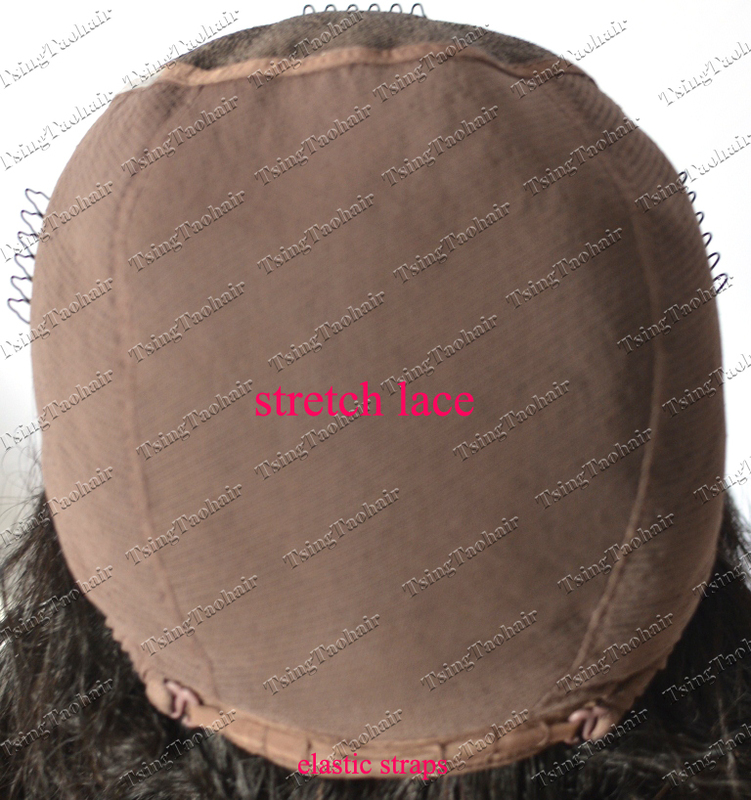 Stock glueless full lace cap design with thin skin added in the front, combs at temples and elastic tapes at back. No need of glue or tapes, can be worn high ponytail! Customers feed back that " But the way, the new p/u skin option was BRILLIANT !! The hair does not stick to lace now with the extra barrier." 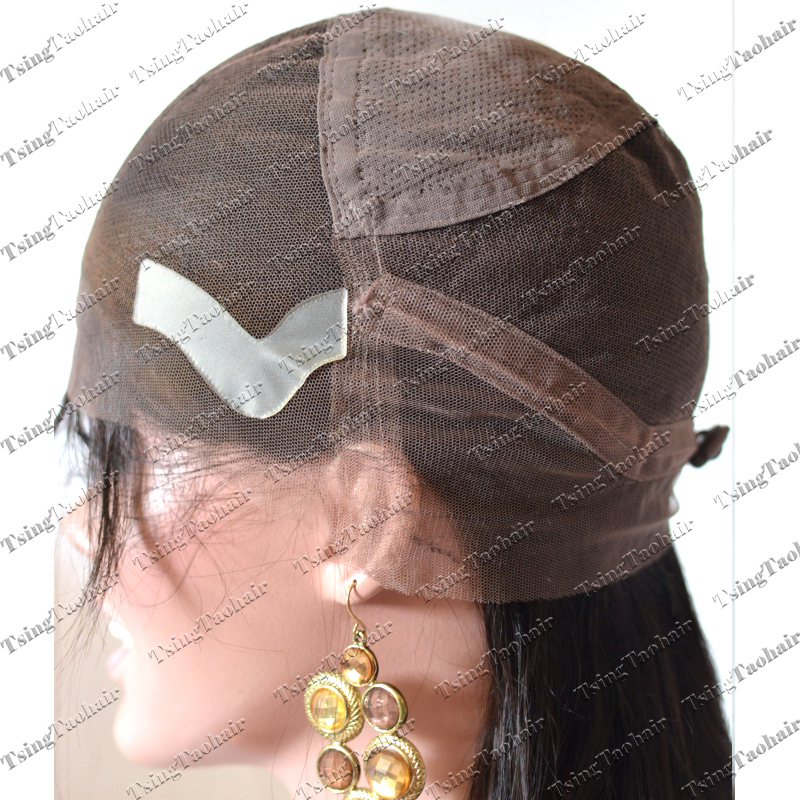 * This cap design for most in stock glueless full lace wigs. 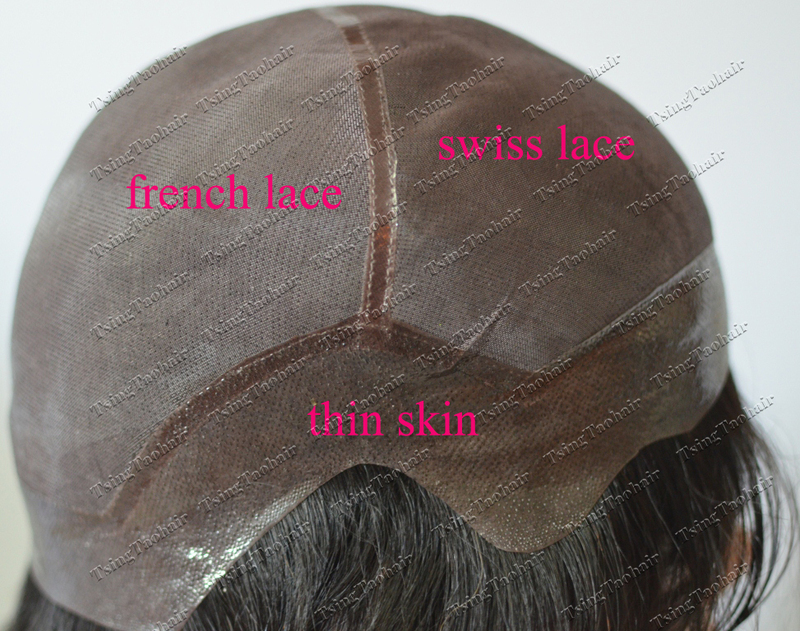 Cap#4G: #0.12 lace Glueless lace cap, #0.12 lace in the front, Stretch lace in the middle, French lace at back. No need of glue or tapes to wear it! Can be Worn High Ponytail! 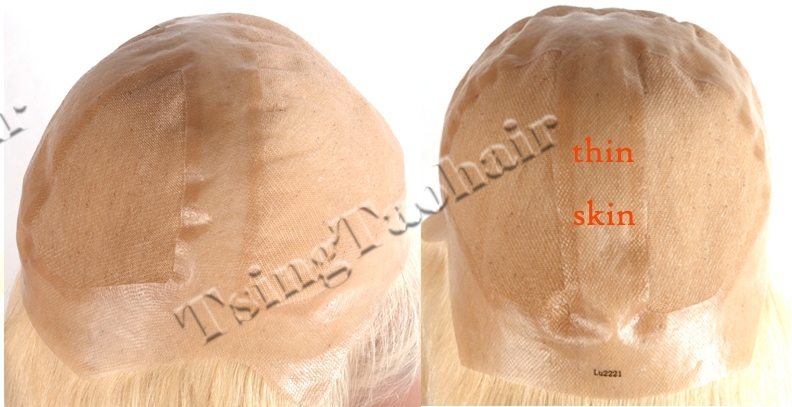 *This is the cap design for some of our luxury in stock glueless full lace wigs. 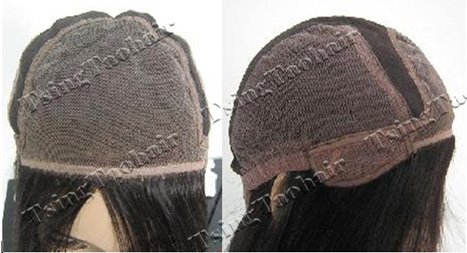 Cap#5G: Glueless lace cap, French lace in the front and top, Stretch lace in the middle, French lace at back to support high ponytail. No need of glue or tapes to wear it! Can be Worn High Ponytail! 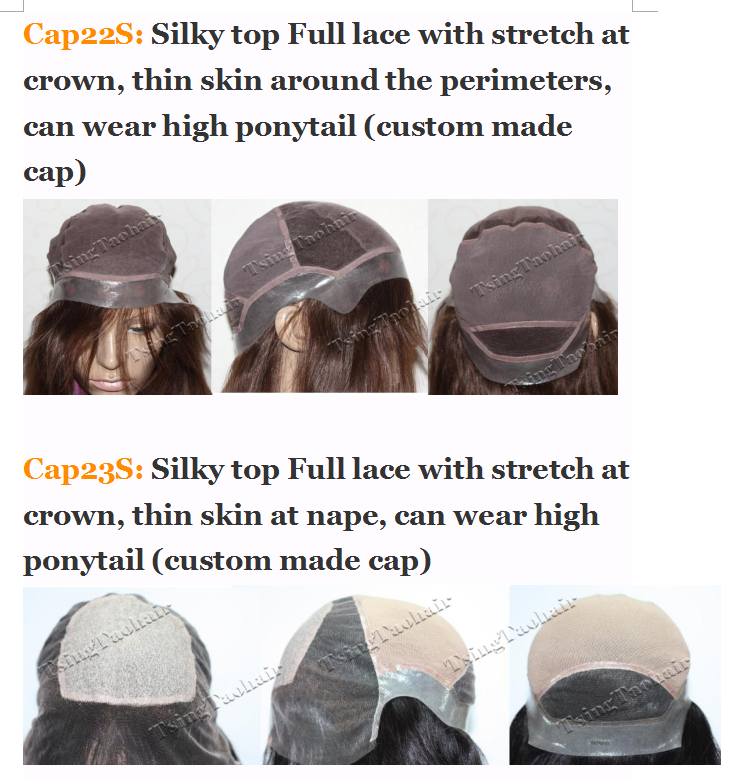 Cap#6G: Glueless full lace cap. No need of glue or tapes to wear it! Cap#7G: Glueless Full Lace Cap. No need of glue or tapes to wear it! 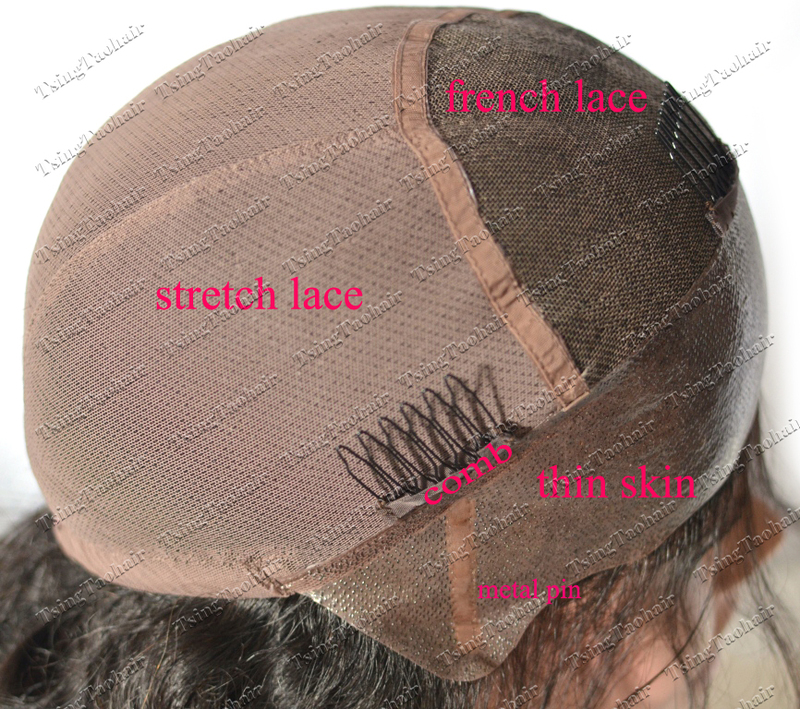 Cap#8G: Glueless lace cap, Stretch lace in the middle, French lace around the perimeters. Can be worn high ponytail. 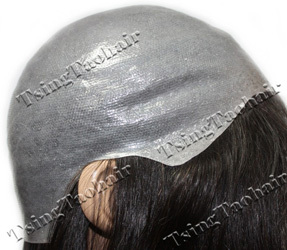 *This is the cap design for our in stock affordable glueless lace front wigs. 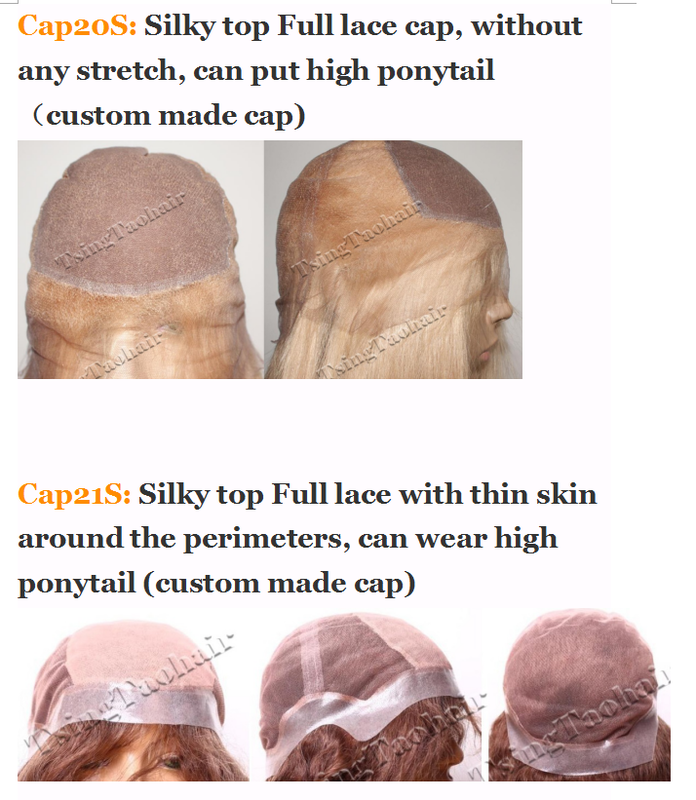 Cap10S: In Stock Silky Top Full Lace Cap: Silky top Full lace with a stretch lace at crown, can wear high ponytail. 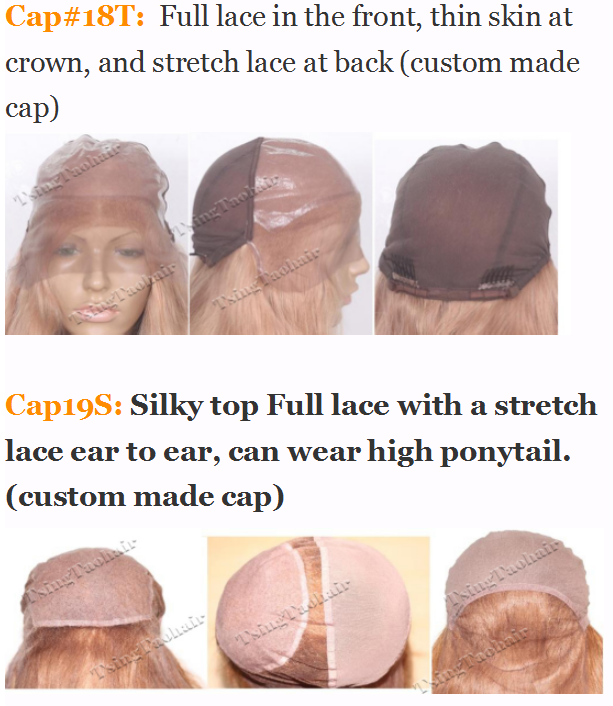 Cap#11SG-1: IN STOCK SILKY TOP GLUELESS CAP DESIGN: Silky top Glueless Full lace with a stertch lace at crown, there are combs in the front temples and elastic straps at back. Can wear high ponytail! 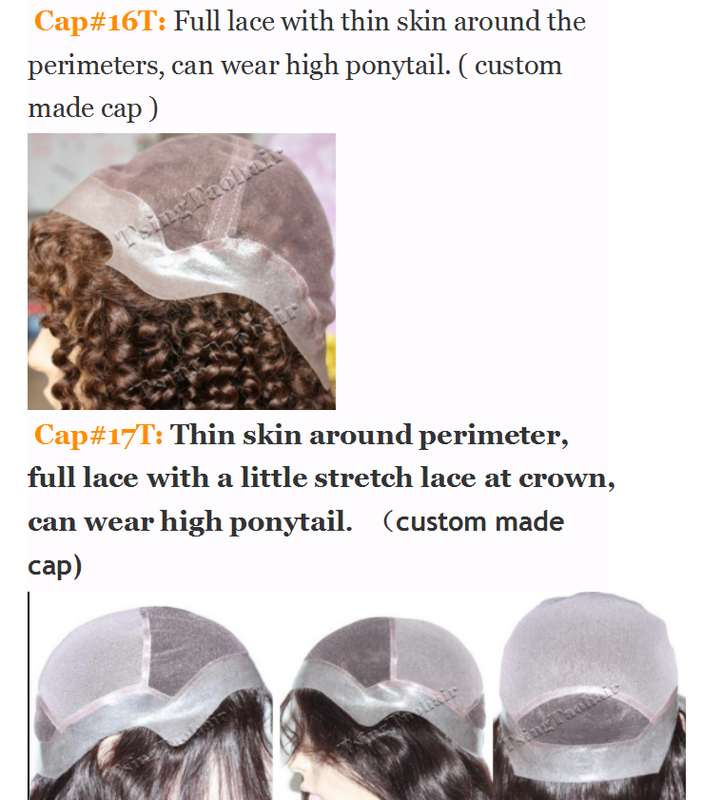 Cap#11SG-2: IN STOCK SILKY TOP GLUELESS CAP DESIGN: Silky top Glueless Full lace with a stertch lace at crown, there are combs in the front temples and draw strings at back. Can wear high ponytail!